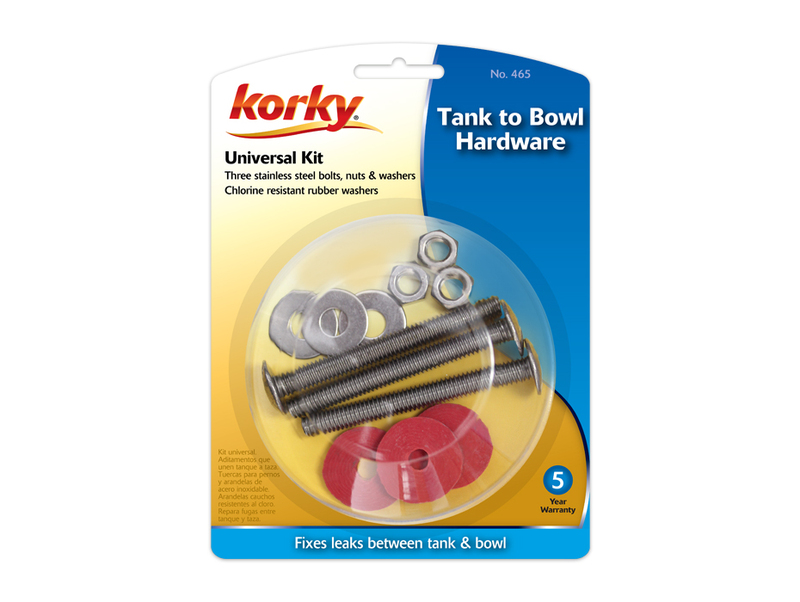 The Toilet Tank to Bowl Hardware Kit contains all of the necessary accessories to install a tank to bowl gasket. 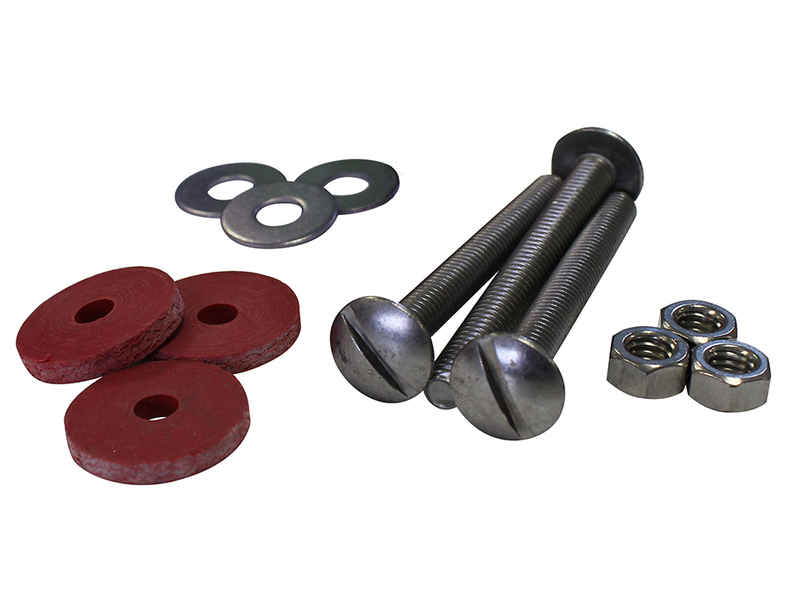 The bolts, washers and nuts in this toilet repair kit are all stainless steal and the rubber washers are made of exclusive long lasting red rubber that resists chlorine, bacteria, city water treatment, hard water, and well water. 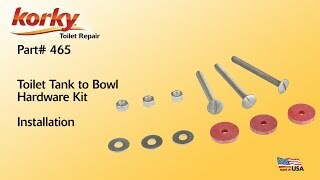 Easy to install, the 465 toilet parts include: (3) Stainless Steel Bolts, (3) Stainless Steel Washers, (3) Stainless Steel Nuts and (3) Rubber Washers.